We have a thriving Cricket sporting calendar at Old Owen’s Association and Sports Club Limited (Old Owens Sports Ground, Coopers Lane, Northaw, Potters Bar, EN6 4NF). The facilities for Cricket at the Old Owen’s Sports Ground consist of 2 cricket squares which are meticulously looked after by our groundsman and both are covered in adverse weather conditions. Facilities also include newly refurbished changing rooms in 2017 and a fantastic Clubhouse equipped with Bar, Lounges, TV’s and a Function Room. 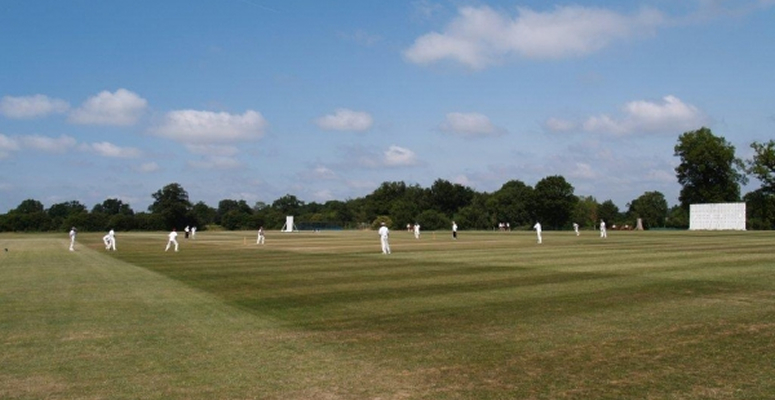 The Old Owen’s Cricket Club have 3 Saturday XI’s that will play in season 2019 in the Saracens Herts League (www.hertsleague.co.uk) in the Championship, Div 7A and Div 10B respectively. It was a successful 2018 season for the Cricket Club as the 1st XI, a young team, finished as Champions in Division 1 and will play in the Championship, the highest the Club have ever reached in the League. The 2nd XI finished 6th in Division 7A, a notable achievement considering availability issues throughout the season. The 3rd XI finished 2nd in Regional A East and are promoted to Division 10B. The League season starts at the beginning of May and finishes in early September for all teams. League fixtures normally start at 1 p.m. and consist of both limited overs and timed matches. Winter indoor nets will commence weekly from Thursday 31 January between 8-9 pm at the University of Hertfordshire, De Havilland Campus, Mosquito Way, Hatfield AL10 9EU, after which Outdoor Nets will be available at the Ground on Thursdays during the season (dates to follow), starting from 6.15 pm onwards (All are welcome). Old Owens Cricket Club will also be embarking on a Tour to Norfolk from 26-28th May 2019 staying at the Wensum Valley Hotel, Beech Avenue, Taverham, Norwich NR8 6HP. If interested, please contact Shaun Flook on email: shaunflook@aol.com. Other Community Cricket Clubs also use the facilities for playing on Saturday, Sunday & Midweek when not used by Old Owens. To keep up-to-date with the progress of our Cricket teams go to www.oldowenscricketclub.co.uk, www.hertsleague.co.uk and Old Owens Play Cricket website. For news and reports of events, please keep checking back to this page.